Below are some of the recent dividend announcements compiled by PHStocks. Further to the cash dividend declaration of the Board of Directors of PhP3.50 per share payable from the available retained earnings of the bank as of 31 December 2012, the Bangko Sentral ng Pilipinas (BSP) has approved the cash declaration of UBP in the total amount payable of PhP2,244,978,470.00. The record date was set at 20 March 2013, and payment date is on 18 April 2013. The Board of Directors of the company has approved a cash dividend of PhP2.180775 per share, payable on 30 April 2013 to stockholders of record as of 3 April 2013. The Board of Directors has approved the declaration of cash dividends of PhP0.25 per share of its capital stock, payable on 19 April 2013 to stockholders of record as of 22 March 2013. The Board of Directors has declared a cash dividend of PhP0.10 per share to all stockholders of record as of 11 April 2013, payable on 8 May 2013. 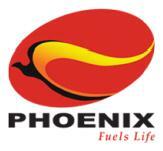 The company has announced a 20% stock dividend to stockholders of record as of 25 March 2013, payable on 23 April 2013. The Board of Directors has approved the cash dividend of PhP0.40 per share to stockholders of record as of 22 March 2013, payable on 17 April 2013.